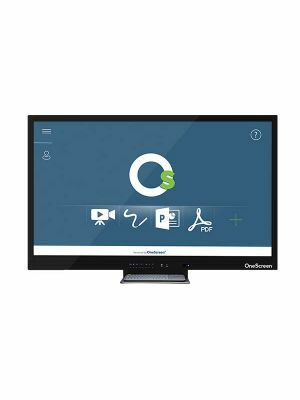 OneScreen Hubware H4 98'' Interactive Touchscreen Display is the undisputed leader when it comes to providing comprehensive solutions to professionals who strive for a collaborative work environment. This single piece of technology is the only thing that a conference room, classroom, or any interactive platform requires to become a heaven for creative professionals. 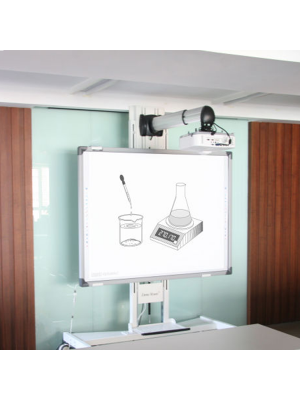 This Interactive Touchscreen Display is the best one OneScreen offers as part of its H4 series. It boasts a king-sized 98”, TFT LED touchscreen panel that has 4K resolution, 1300:1 dynamic contrast ratio and is made of anti-glare tempered glass. Apart from these, it comes with exemplary interactive features that make group tasks enjoyable. 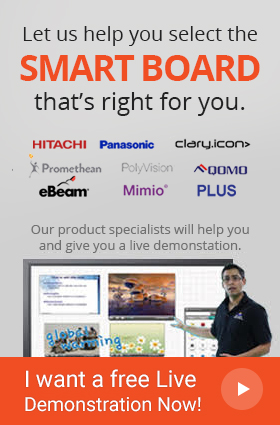 It supports 10 point multi-touch and has <8ms touch response time. The Hubware H4 98” features an embedded Windows PC system and an Android processing unit for users to operate the touchscreen with. The PC has impressive specifications, enabling all kinds of power-demanding tasks to be performed efficiently. It has an 8GB RAM, Intel Core i7 processor and 1 TB HDD. The Android unit is especially useful in providing access to useful apps via Google Play Store. Miracast is among the several other handy features it has for users. OneScreen Hubware H4 is immensely useful in a collaborative setting. 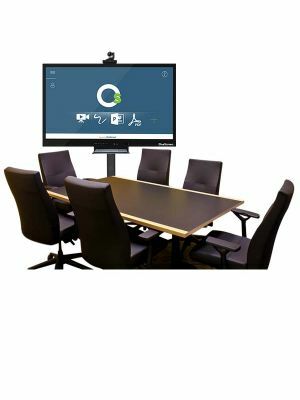 Being the best product for video conferencing, it supports up to 99 participants and 8 ad hoc members in video conferences, all of which can be managed through easy to use software like Universal Meeting Scheduler and combined contact address book. 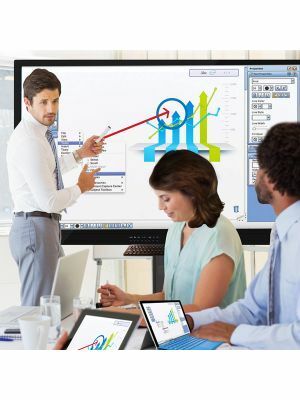 To support whiteboarding on its large screen, H4 comes with the intuitive OneScreen Annotate software support. This versatile software has several annotation tools that can enhance communication quality and bring liveliness to meetings. To keep all collaboration on record, OneScreen Swap and OneScreen Cloud Connect cloud services are also offered. Moreover, OneScreen also has a quality customer care service to offer to its customers. The Skills Guru staff can be contact at any time for technical support regarding the OneScreen Hubware H4 or to get appropriate guidelines and training to operate it.